Setting out to post a photograph each day was intended to be a simple task. Just create a simple record of where we were and what we were seeing that we could reflect on at the end of the year I thought. There was no intention to actually reflect each day, but after just a few days the constant reminder of what we were about to lose took a toll on the thought process, and as no doubt every reader has noticed, as somewhat less flippant than usual documentary than is my custom has been the result thus far. 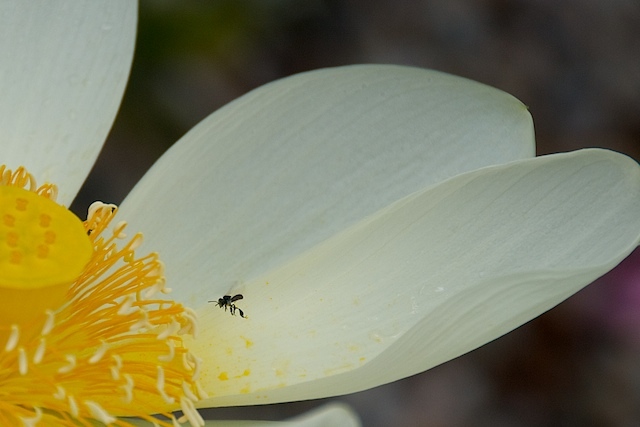 Watching our bees flit among the lillys and lotus really hit a nerve for some reason. Our little Australian native stingless bees (trigonias) have no idea they are in for a move as well, and I suspect that if they did, they'd just get about their business without further reflection. The discovery that the way we feel was not only quite normal, but that it had been identified, described, and even named, and that our neighbours were experiencing the same emotional tugs has put a different perspective on what is happening in our minds. Four days ago, when I photographed the Lapwings, I had a lump in my throat. Then the next morning as I watched the Sandpiper, and thought of the roosting Oyster Catchers on the other side of the river, and the cormorants, the mistletoe birds, the magpies that bathe in the fish pond each day and the cranes that fish in it, not to mention the kingfisher that watches me shower, I truly wondered if I shouldn't stop this project lest I become a walking streak of melancholy. A lot can happen in three days as one tries to gain an understanding of self. Had we sold our house in the normal course of events, we'd suffer a day or so of remorse after signing the contract, undoubtedly a day or two of sadness would follow, and then we'd get on with it and move. We'd return occasionally to see how the trees were doing, to have a cup of tea or a piece of Christmas Cake in the old neighbourhood. 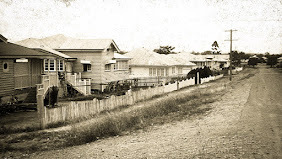 We'd marvel at how the neighbour's grandchildren had grown and how the renovations in number seven were still not quite complete and it would be as if we'd never left. Or perhaps we'd just drive down our street with the grandchildren in tow, out of idle curiosity. What we know today that we didn't know two days ago is that it isn't the loss of property or the uncertainty of dealing with the situation that is playing with our minds. It is the fact that the community will have vanished without trace, and with it our emotional ties to the place. We can handle that now that we know what troubles us so. So now we are back to the beginning, recording our days, preserving some memories that in the normal course of events would not need physical reminders. Providing some ties. I wonder if we have time to get it all. Sounds like being able to name the illness has made a big difference. Keep snapping away, I'm loving all the nature pics. Whereas me, I like the reflecting.